The Zetasizer Nano ZS90, a low-cost zeta potential analyzer from Malvern Panalytical, is designed to measure molecular size and particle size at a 90 degree scattering angle utilizing dynamic light scattering. The system provides a perfect solution where similar results to a legacy system with 90 degree scattering optics are needed, or when the ultimate in sizing sensitivity is not required. 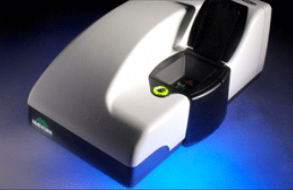 The Zetasizer Nano ZS90 can also measure molecular weight using static light scattering, and electrophoretic mobility and zeta potential using Laser Doppler Microelectrophoresis. Molecular weight measurement down to 9,800 Da. Unlike other instruments that just sit on people’s shelves and don’t get used, Malvern Panalytical’s Zetasizer Nano is so useable that colleagues come from other universities to make measurements with it.